A working group on confidence building measures along the Line of Control met for the first time in 18 months. The Joint Working Group (JWG) on Cross-Line of Control (LoC) Confidence Building Measures (CBMs) between India and Pakistan met in New Delhi on Tuesday after 18 months. The JWG was to work towards normalizing the situation between the two countries on their disputed border in Kashmir. The Pakistani delegation was led by Riffat Masood, a high-level diplomat, and the Indian side was led by senior diplomat Rudrendra Tandon. The decision to resume the JWG was taken during a meeting between India’s Ambassador to Pakistan and Pakistani Foreign Secretary Aizaz Ahmad Chaudhry in late January. The meeting represents the culmination of a series of positive developments between India and Pakistan that began in late December when the Director Generals of Military Operations (DGMOs) of both countries met on the border for military-to-military consultations on border patrols and other matters related to the security of the Line of Control. Since that meeting, India and Pakistan made progress on cross-border trade across the LoC. The trade talks between Pakistan’s commerce minister and his Indian counterpart were positive. After India caught an inbound truck from Pakistan carrying 110 kg of heroin, Pakistan temporarily ceased all LoC cross-border trade and movement. In late January, Pakistani troops also violated the LoC ceasefire after a period of relative tranquility. Overall, however, relations across the LoC have been remarkably improved compared to 2013, which saw the most ceasefire violations across the border in several years. Given the general uptick in relations, it seems as opportune time for the resumption of the JWG on LoC CBMs. 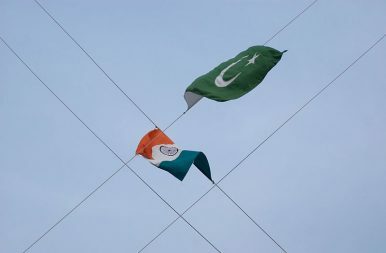 Indian Prime Minister Manmohan Singh is also slated to visit Pakistan later this month to resume the long-stalled Composite Dialogue Process between India and Pakistan which addresses the entire spectrum of disputes between the two neighbors (although some observers argue that this is looking increasingly unlikely). The Composite Dialogue Process was suspended in January 2013 after an Indian soldier was beheaded by Pakistan troops on the LoC. The results of the talks have yet to be made public, but it is likely that the two sides discussed the sustainable growth of cross-border trade which is a major CBM at this point. According to Pakistan’s The Express Tribune, trade was likely a feature of the talks. India’s The Hindu noted in an editorial that cross-border trade is “an important CBM,” adding that “both India and Pakistan need to learn the lessons from” the drug bust episode. An important development to watch will be India’s general elections, which will take place over the months of April and May. India’s policy towards Pakistan has been maneuvered by the Congress-led UPA coalition over the past decade. The Congress Party appears to be ill positioned to win in the elections. Should the Bharatiya Janata Party (BJP) win, India’s posture towards Pakistan could change. Pakistani Prime Minister Nawaz Sharif has repeatedly emphasized his desire to normalize ties between India and Pakistan. Understanding the Origins of the Pulwama Attack Inside PakistanOvercoming India and Pakistan's Perpetual Standoff in KashmirKashmir: The Politics of InterlocutorsIndia-Pakistan Rumblings Along Kashmir Line of Control ContinueAmid Ongoing India-Pakistan Clashes, Is Diplomacy Possible?